Buy natural pearls. 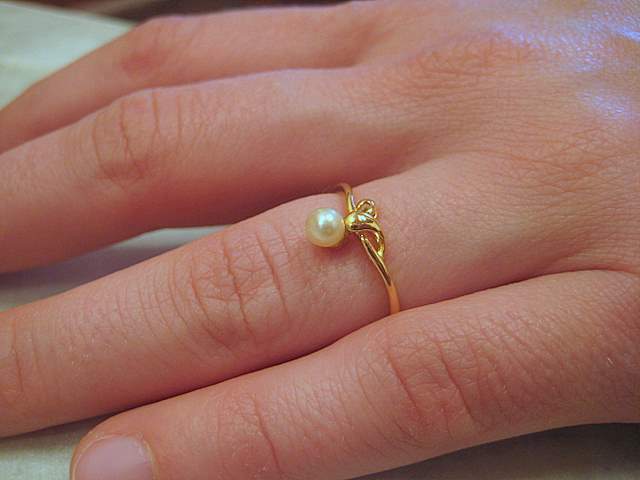 This ring is a great place to start your natural pearl jewelry collection. 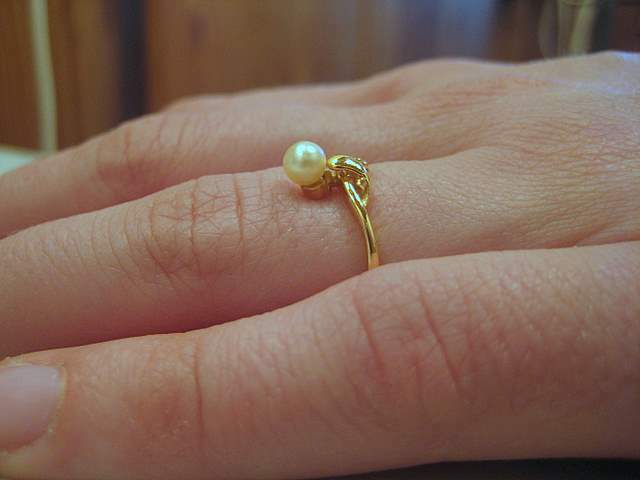 Nobody will ever have one just like this lovely natural pearl ring. It is not common to find natural pearl jewelry for sale and that is one reason why I am so glad to offer these high quality rings, necklaces and earrings for sale on my site that are made with 100% natural pearls found in the Arabian Gulf. Not many pearls are found there today. It's not like it used to be when pearling was the main source of income for these gulf countries. I was able to get some select pieces of natural pearl jewelry for my website visitors. I love natural pearls. They are my favorites and the more I learn about them the more I love them. 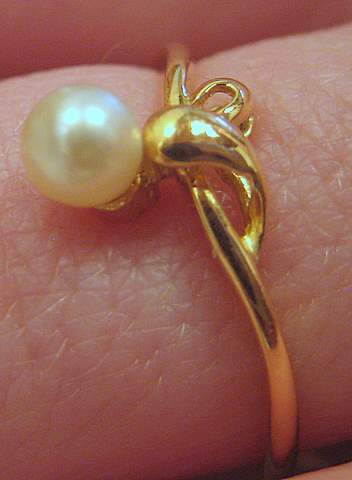 You can see for yourself that this 18K gold ring is stunning with the simple decorations and pearl. It is lovely enough to be an engagement ring. Visit my catalog and buy natural pearls.